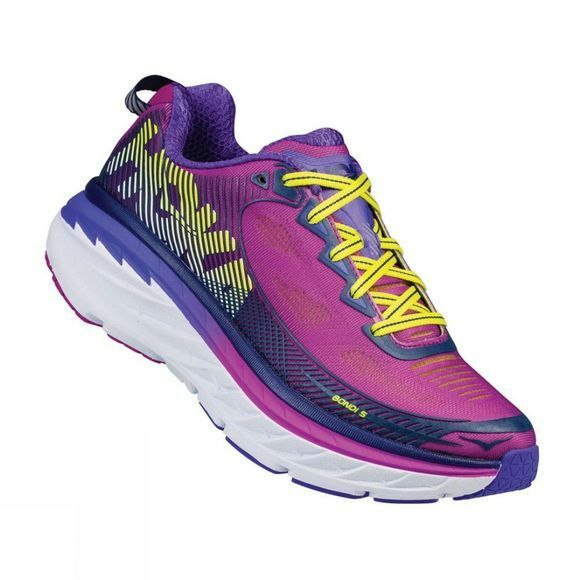 Designed for running on hard, man-made surfaces, the Women's Bondi 5 Shoe gives you the cushiest of long rides, and just enough traction to let you wander onto light trails should the mood take. 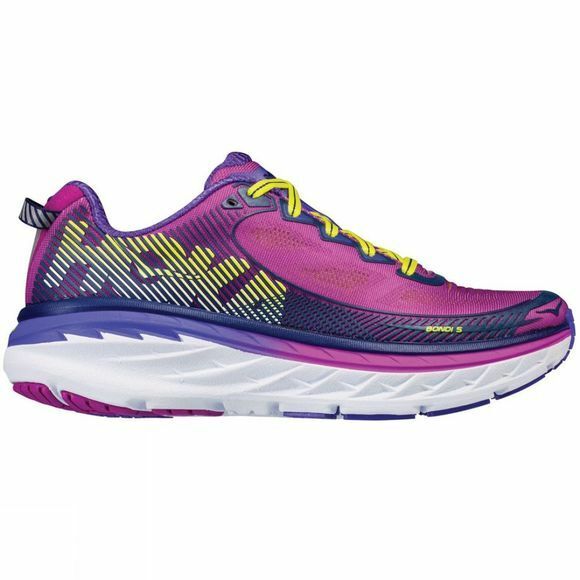 The next iteration of the game-changing Bondi legacy, the ‘5’ is one of the most cushioned shoes in Hoka One One’s road specific lineup. With a more accommodating toe box, increased breathability and support, and better compression set, it delivers a smooth, cushioned and balanced ride. The full-EVA midsole and early stage Meta-Rocker are topped off by an updated Comfort Frame upper and padded tongue, giving superior all around comfort.